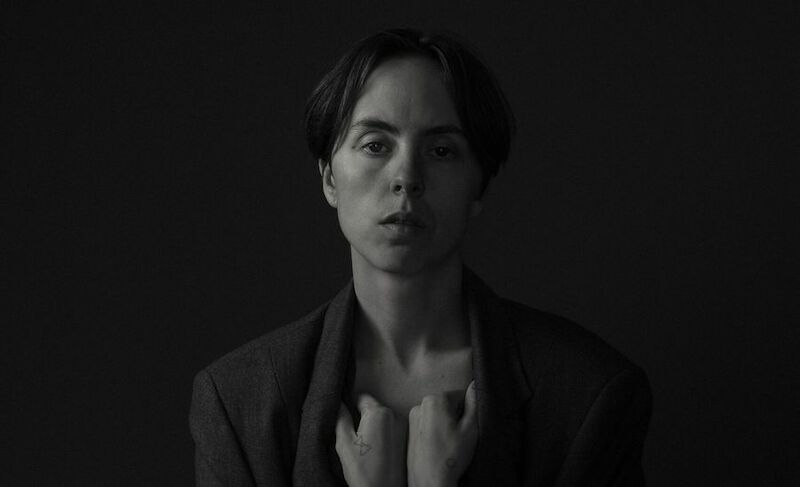 Earlier this year Meg Duffy released their second record as Hand Habits—placeholder. The first album was created during the little free time Duffy had while touring as part of Kevin Morby’s live band. For this outing they were able to retreat to Justin Vernon’s studio in Wisconsin and work with indie super producer Brad Cook. The result is a strikingly delicate and complex record which showcases Duffy’s unique perspective on the interplay between sound and story. One of the things that really stands out to my about these songs is their continual exploration of each side of a situation or emotion—a yearning to see all perspectives. I asked Duffy to elaborate on this a bit: “It’s never really immediate. I mean, I’ll have moments, where if I’m having an experience with another person or with myself or with a group of people, I know that there are moments where I think to myself, “Oh, I would love to sit in this feeling a little bit longer and explore it and turn it around in my hands and see it from all sides.” But then, you know, everybody gets distracted.” They see the spirit of songwriting as something that takes both practical effort and a bit of etherial guidance. “I just think that there’s nothing like writing music, and there’s nothing like playing music or listening to music. And so there is kind of a magic in which I think that I’m … I feel not in control, even though I know that I am. But I feel like when I am writing songs, that is when whatever the spirit chooses to send my way. With … And the spirit being whatever it is anyone interprets as a spirit. But without being lazy, it’s not like I’m just sitting around waiting for it to happen. I think that I do a lot of processing and writing and journaling and thinking and conversations with friends and lovers or myself and trying to get to the bottom or get somewhere inside of a feeling. But then with songwriting, I think things definitely reveal themselves to me in a way that I never really anticipate.” This juxtaposition between inspiration and careful attention to detail defines for me what I hear in this new set of songs. I asked Duffy about the process of bringing the personal and emotional into the process of songwriting and if it remains close or gains distance in expression. “There is, at times unity—especially within performing—when there’s a good performance happening and I’m feeling really connected to a song, I will experience those emotions sometimes—if we’re all doing this thing and connecting and playing music and having the right mixture of participation and eyes rolling back. But I like focus too, and being focused, but also not focused and zoned out. I definitely have gotten emotional and relived some of those feelings. And I think even harder, like they come on a little bit harder because of the emotional content of the music and art itself being something that drives feeling, or is meant to elicit feeling.” Hopefully we’ll all find a bit of that connection with the music Tuesday. Hand Habits play Tuesday night at Gasa Gasa. Check out the video for “placeholder” below. Tomorrow night Roger Sellers otherwise known as Bayonne will be brining his unique style of ambient and dream pop composition and production to Gasa Gasa. Bayonne is tour on his excellent new record Drastic Measures which was just released in February. Sellers a very compelling performer and one of the highlights of Bonnaroo last summer. During the live show he constructs his songs from scratch—loop by loop. Check out his this unreal performance from Lincoln Hall below. I love everything about this. Today French Quarter Fest really gets going. Here are some recommendations to get your weekend going. Tonight you can catch Sweet Crude at Tipitina’s and Kermit Ruffins down at Blue Nile while Steve Aoki hangs out at The Metropolitan. Saturday, Tori Kelly is at The Fillmore and Bayonne plays Gasa Gasa while San Holo drops in on The Joy. If you need one last shot of music after French Quarter Fest ends Sunday, hop down to The Howlin Wolf for the regular Hot 8 Brass Band show. Tuesday, the outstanding Hand Habits are at Gasa Gasa. Wednesday, Big Boi headlines The Fillmore while the excellent Americana singer/songwriter Tyler Childers is at The Civic. Thursday, Ingrid Lucia is at the Little Gem Saloon and the Trio with Johnny Vidacovich plays the Maple Leaf. Thursday is also the last night of Kelly Love Jones’ Pitch Dark performances at the Music Box Village.